Spring Valley Orchard is a gem! 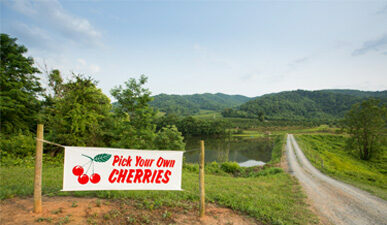 Acres of cherry trees stretch across a valley surrounded on all sides by the bluest of the Blue Ridge Mountains. Be sure to check every spring for our days and hours of operation because cherries—bless their hearts—wait to ripen when the weather is just right, generally (but not always) around Memorial Day. The season is short, so once they ripen, come get ’em quick! 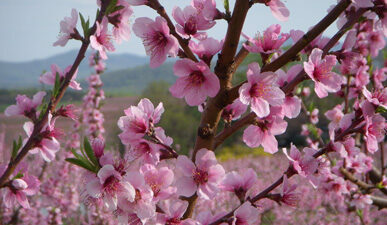 Put Spring Valley Orchard at the top of your summer fun list! Here are some guidelines to help you make the most of your visit.